Charlotte, Belgium - BOUNDLESS HIMALAYAS TREKKING & EXPEDITION (P.) LTD. I had a very good trip to Tibet. Here they were able to find me a small group (2 people) who also wanted to go to Tibet in this season. Everything was very good organized. They recommended the more expensive hotels and I am very happy they did. Hotels in Tibet are not like here. 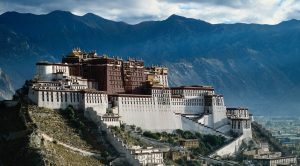 Lhasa was very beautiful and a city you must see. Finding a nice and cheap place to eat is not easy but they have amazing fruit and vegetable markets. This was an amazing trip !